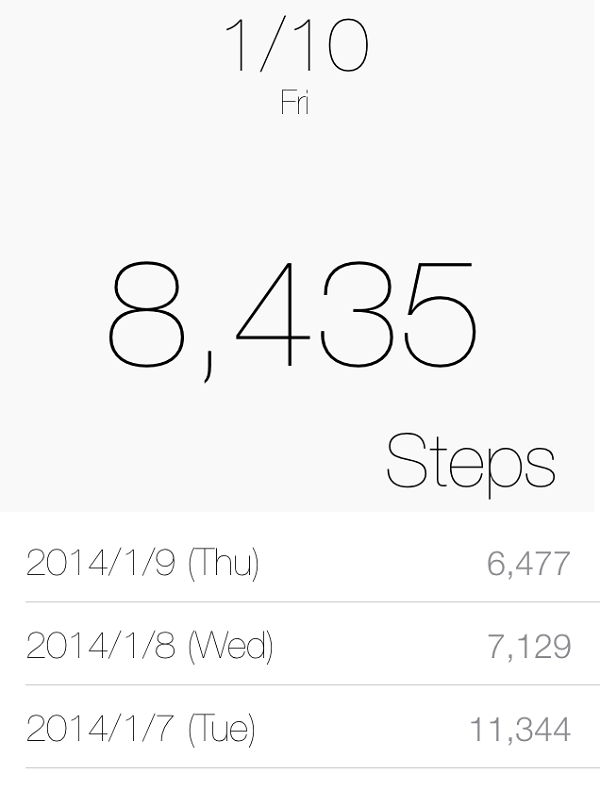 How Much Do You Walk At The CES? The CES is a big event not just in number of attendees/exhibitors but also in sheer size. Anyone who has been to the CES would agree that It’s not only very exciting but also good exercise. So how much walking does one actually do at the CES? Thanks to the app M7 pedometer and an iPhone 5s we now know. The total comes down to 33385 steps. The first day was at the Venetian, all show floors. (Update) Oh yes.. worth mentioning are the silly people who rent scooters. Because walking is too mainstream? Lots of those at the CES, neither fat nor handicapped, just lazy..
Next: Bye bye CES 2014!